A minimalist, almost invisible fruit basket. Admire the fruit from all sides and enjoy their wonderful colours and shapes, allow it to breathe and it will stay fresh longer. You can even take the fruit out from the side. 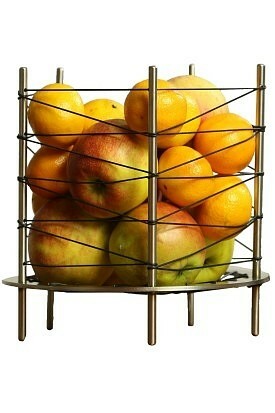 The fruit basket is definitely a nice decoration, slightly different every time depending on which fruit you put in.